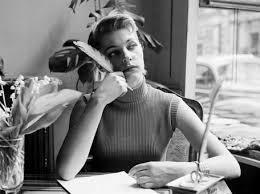 The quiet life…I always thought that the writer’s life was the ideal quiet life. In my mind, it included days spent contemplating higher things, taking walks to admire God’s handiwork, sipping coffee and perusing Scripture with my dogs curled at my feet. I pictured Emerson and Thoreau rambling around the New England countryside. Funny, how the mind works, isn’t it? Yes, my days are now spent in quiet, but it’s hardly the quiet life. With a handful of freelance projects rolling at once, my brain bounces around like our puppy who spends his day running back and forth from our boys’ room dragging out one toy after another. While there is quiet around me, my head is full of noise. I have deadlines to meet and am often stuck in the “me” bubble forgetting all else and striving for a finish line that isn’t really the one God has set. When Paul talks about Christians living a “quiet” life, he’s not really talking about solitude. Of course, we need quiet time for reflection, meditation, and prayer, but most of us don’t live a monastic life. When my boys get home (or are awake), quiet is completely thrown out the window with shouts, whoops, pounding feet, squeals, calls of “Mama–so and so did this!”, the barking of dogs and the Disney Channel. Seriously, a barroom brawl could not eclipse the decibel level in our house. But that’s okay–it’s life–and I wouldn’t trade it. 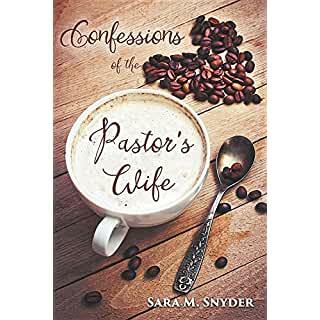 So, when Paul tells the Thessalonian church to lead a quiet life, he’s really telling them “Lead your own life.” Look at the very next sentence…”You should mind your own business…” In other words, don’t be a drama queen. Don’t gossip. Don’t get caught up in the drama of the world around you. Instead, do your work. Did you catch that? Do your work–the things God has placed before you to accomplish. It might not be fun or flashy (like writing hundreds of assessment items), but it’s your work. And when we work with a focus on God, people notice. They see us working; not gossiping, slandering, criticizing, or tearing down. Rather, they see us building up, encouraging, comforting, supporting….in short, they see us practicing God’s love and living in God’s peace. Living the quiet life is not actually about quiet. Living the quiet life is about living a life of focus. It’s about setting our sights solely on the work God has entrusted us with and called us to do. It is about honoring God with our hands, our minds, our hearts, and our mouths. The quiet life is a God centered life. 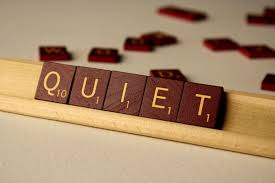 How quiet is your life right now?